Anyone who has a blog/website knows what wordpress widget means and in this post I would like to share some thoughts based on my experience both with wordpress website and widgets. We will discuss why we need widgets, why we use them and if it is good to hide WordPress Sidebar Widgets. This post will not be too long. I will keep it short and to the point. I believe the plugin I’m going to talk about is very useful and I think for for many of you this kind of info will be very interesting. First of all, wordpress widget is a small block of info that you can put in the right or in the left column of your WordPress website. Many bloggers use them and I use them too. Some bloggers think widgets are useful while others don’t use them at all and think they are distracting for a website visitor. There are arguments both for using widgets and against using them. I personally think widgets are useful if you use them strategically. If you use them without any strategy then yes, they can be very distracting and even harmful for your website. There are different kinds of widgets, such us text widgets, banners widgets, calendar widgets, featured page widgets, featured post widgets, image widgets, recent comments widgets, search widgets, social media icons widgets, video widgets and more other widgets. We use widgets because they make our site more beautiful, attractive and by using them we can promote some of our services, products. When our readers read our content we give them a chance to see some of our promoted products and by doing so some of them can click on our ads (widgets) and we will get a conversion. Conversion can be a subscription to our email list or even a purchase. Of course, it’s not recommended to use too many widgets because they can be distracting and as a result you will not get a conversion. The purpose of using widgets is getting or improving conversions, not losing them. You need to use them strategically in order to keep your conversions. Strategically means promoting one or two products. If you promote many different products then it becomes distracting, confusing and even annoying. While it’s absolutely normal to use widgets on your sidebar sometimes it’s recommended to hide them all so your readers can focus on what is more important. Many bloggers are of the opinion that it is better to keep your most important and best converting pages or your most important offers clean from any kinds of widgets. That’s why they use WordPress themes from Themeforest, Studiopress or Thrivethemes that allow you to turn off all widgets on certain pages or posts and drive your reader’s attention to where you want it. But these wordpress themes though are beautiful and professional they are not cheap. Some people prefer to use wordpress themes that are cheaper than those mentioned above or even prefer free themes. Most of the time you can’t turn off widgets on certain pages or posts. In this case you can use a free plugin called Widget Context that allows to show or hide widgets depending on the section of the site that is being viewed. Let’s see how to use it. In order to hide wordpress sidebar widgets you need first to install the widget called “Widget Context”. It is a free plugin. In your wordpress dashboard go to Plugins section and click on “Add New”. Then type “Widget Context” in the search bar and you will see the plugin. It has 70,000 active installations which is pretty good. It requires wordpress version 3.0 at least. So, make sure to update your WordPress site before installing the widget. After installing it go to your plugin section and activate it. Now after installation “Widget Context” settings will appear automatically under each widget under “Appearance → Widgets”. You don’t need to change or modify any settings after installation. Now to turn off any widget on any of your website page you can do the following. Go to the Appearance → Widgets and click on any of your widget that you have installed on your sidebar. If you choose “Show widget everywhere” your widget will be seen on your sidebar on all pages and posts. If you choose “Hide widget everywhere” your widget will disappear from your sidebar completely, from pages and posts. 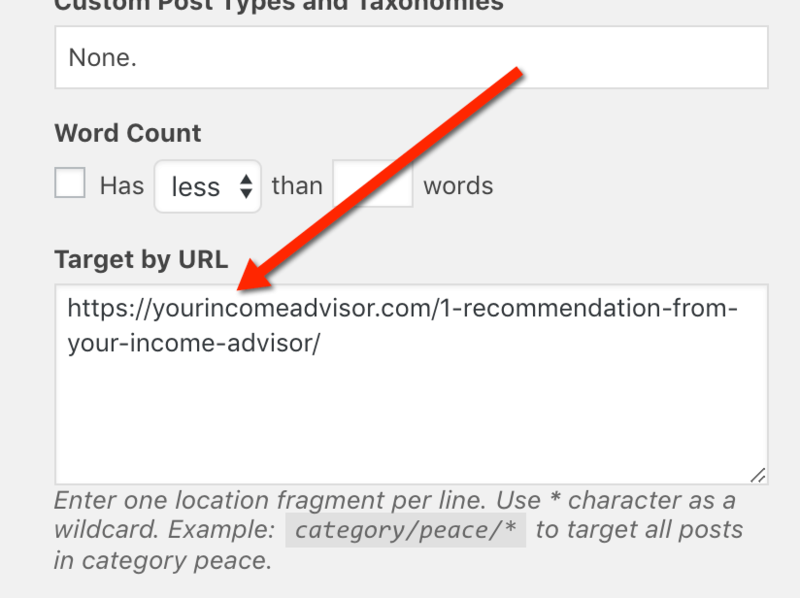 If you want your widget to disappear from a certain page of your site then you need to copy that link of your desired page and paste it into the window that says “Target by URL”. Your widget will disappear from that page. If you have several widgets on your sidebar then you need to do these steps with every widget. As a result your desired page will be totally free from all the widgets. But your widget will still be seen on all other pages of your site including your home page. That’s pretty much all you need to know in order to hide wordpress sidebar widgets. I hope this post was helpful and you will be able to get more conversions in your online business. Want to Learn How to Build and Profit from a Worpress Website? 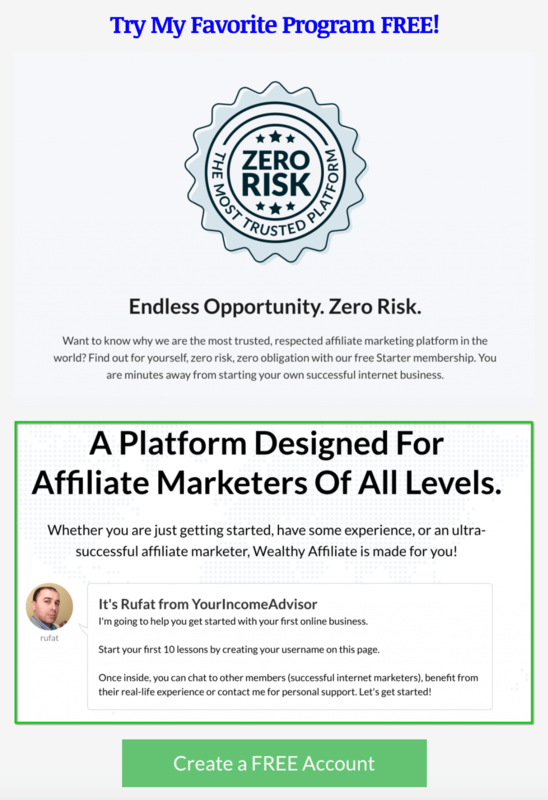 Click Here to Create Your Free Account! « Does Changing a WordPress Theme Affect Your Website Traffic?